Doors Open 7.30pm, showtime 8.00-10.00pm (with intermission). There will be no stops! It will be express all the way from the dirt and grit of the subway straight to the sweet soul of the famous Acland cake shops! 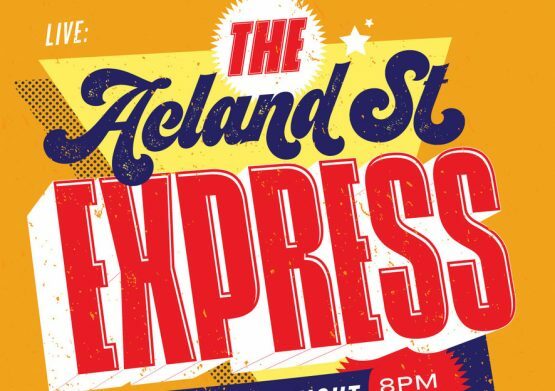 Catch Jake Mason (organ) Danny Spencer (guitar and vocals) & Andrew Swann (drums & vocals) as they drive The Acland St Express hard through blues, soul and roots, keeping the grooves right on the top of the tracks. This is the only gig for The Acland Street Express, better be quick!